Promotions dragging? Avoid rink rash! 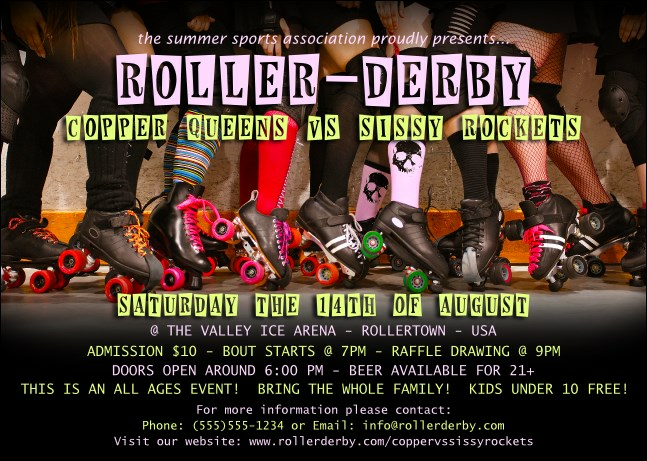 Skate your way to high ticket sales when you send out Roller Derby Legs Postcards to your fans in advance. They’ll be clawing to get the best seats when they see these black Postcard templates featuring the bright wheels of a punky pack ready to start the bout. TicketPrinting.com helps you shove your way to the front!